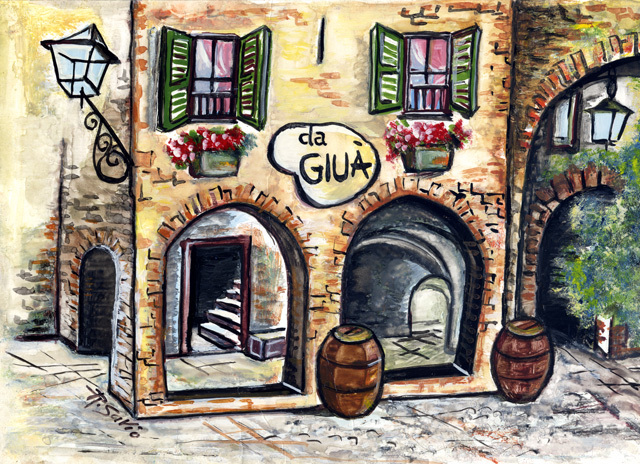 “Da Giuà” is a family-run bed & breakfast that opened at Christmas 2004. It is located in the heart of the ancient village of Apricale (in Latin “Apricus”- which means, “open to the sun”), one of the most beautiful places in Western Liguria, not far from the sea and from the Côte d’Azur. It is reached by climbing just a few kilometres into the Nervia Valley. 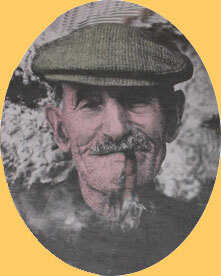 We take our name from Grandpa Giuà, much loved and well known in all of Apricale, so much so that the Bed and Breakfast is known affectionately by the nickname of “the grandparents’ house”. Recently restored, the Pisano family has retained the typically Ligurian architectural details of the building and offer double bedrooms with beautiful views of the valley and the village. Each bedroom has its own bathroom, central heating and satellite TV. The wooden beams of the vaulted ceilings, the majestic fireplace, the kitchen – mirror of an ancient world that seems to have disappeared – make this an ideal place to spend relaxing weekends, for young people, couples and families, in contact with nature and the old traditions. Apricale is located at the foot of the medieval castle and facing the ancient main square in the centre of the village. It is the ideal starting point to visit the magnificent treasures that Apricale has to offer visitors – a mixture of history, charm, traditions and legends. 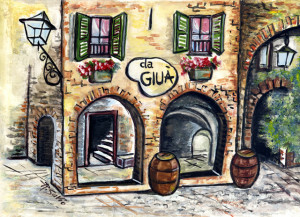 The village, which is part of the “The Most Beautiful Villages of Italy” club (I Borghi più Belli d’Italia) and of the “Orange Flag” (Bandiere Arancioni), has kept its historical, artistic and architectural heritage intact, combining the protection of the area and its traditions with the development of sustainable tourism. The many events and exhibitions during the year enrich your experince and make your stay more enjoyable for those of you who want to combine, in addition to relaxation, moments of learning and culture. Those of you who love long walks to discover unspoiled trails and rich flora and fauna, will find the places that surround us ideal for a taste of unspoilt nature. The terraces, created for the cultivation of olive trees and supported by dry-stone walls, which you can see all around the countryside make this place one of the most striking in this area and ideal for hiking. The Ligurian hills, the seaside of the Italian Riviera and the proximity to France mean this cozy B & B is able to offer all the amenities, which allow you to spend moments of relaxation and quiet. The sea is only 15 km away and you can find beaches for all tastes – gravel, sand or rocks that plunge into the sea. Finally, a few kilometres away, you can visit the French Riviera and Monte Carlo with its Principality, rich in history and social events. Apricale is, therefore the ideal place to relax, get away from everyday life, enjoy the views of the countryside (or of the magnificent and spectacular amphitheatre of houses and buildings facing the main square of the village) and to enjoy pleasant moments of relaxation and tranquility and to fully experience the life of times gone by and recharge your batteries!